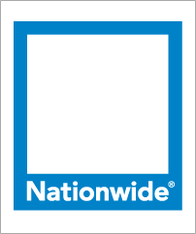 The Nationwide Insurance: Brandon Pittman Agency in Raleigh, NC provides the following products. 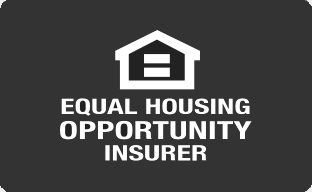 To learn more about each insurance product, click on the links below. If you've recently bought a brand new or new-to-you vehicle in Raleigh, you'll want an all-encompassing auto insurance plan that protects your new investment. Brandon Pittman Agency specializes in supplying local drivers with personalized auto coverage that gives you peace of mind. Let us give you the confidence that comes with knowing you and your vehicle are in the very best of care. Even if you haven't yet bought your vehicle, it's never too early to start thinking about auto coverage or the right company to provide you with that coverage. Whenever you're ready, call (919) 878-8028 to speak with an agency representative to discuss your coverage needs. You can also stop by and see us at 4011 Westchase Blvd. In order to have stable financial security measures in place, it is crucial that you invest in home insurance regardless of whether you own your house in Raleigh outright or you still have payments to make on the mortgage. We at Brandon Pittman Agency are proud to offer Nationwide solutions designed to protect our members and their homes from weather hazards to crimes such as theft. Because your house is a place of love, life, and safety, Brandon Pittman and our other experienced agents are prepared to help you and your family members get back to your normal lives as soon as possible should an incident occur. By calling Brandon Pittman Agency at (919) 878-8028 today, you can become more educated about our available policies as well as discounts that are available. Our goal is to provide you with an insurance purchasing experience that is as stress-free as possible. Find out more by visiting us on 4011 Westchase Blvd or by giving us a call. We at Brandon Pittman Agency proudly work with residents in the Raleigh area. We want to make sure you have the type and amount of coverage you need so that you and your family are prepared for any eventuality. We will explain in understandable language term versus permanent insurance and we will discuss the types of life insurance that can best fit your needs. As you enjoy the now, don’t forget to protect your family’s future. Life insurance gives you the peace of mind that comes with preparing for life’s uncertainties. Call (919) 878-8028 and ask to speak to Brandon Pittman. We can assess your coverage needs and answer all your questions. If you are in the neighborhood, stop by any time. We are located at 4011 Westchase Blvd,Raleigh,NC,27607. We look forward to seeing you. As a business owner you have a lot of responsibility. One of your priorities should be to make sure that you are properly protected in the event of a loss. At Brandon Pittman Agency in Raleigh, we understand that every company has its own unique risks and coverage needs. That is why we go over your business in detail including if you own or rent your building, the number and types of employees you have, and the nature of your business. We then recommend a custom plan to make sure you are protected against a variety of different risks. When you are ready to protect your company, Brandon Pittman is available to walk you through your options. You can call our office at (919) 878-8028 to set up an appointment or speak with an agent over the phone. You can also visit our office at 4011 Westchase Blvd. The Brandon Pittman Agency also offers products in CO, GA, NC, SC, TN, VA. Please call for information on products in those states.